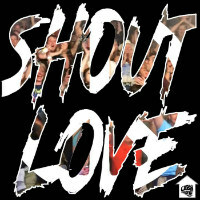 Rating: Hot on the heels of the summer’s Off The Hook LP, the Daytoner crew are back already with a new single Shout Love – which aims to channel the redemptive power of funky soul to relay a message of positivity and unity in these benighted times. Blimey – that’s a tall order. Still we can’t think negatively, we have to try, after all, it’s better to go down fighting than…hang on…I’ve heard that somewhere before. 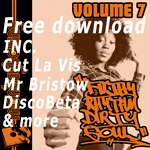 Anyway – where was I – oh yes – the redemptive power of funky soul. Well if anything has it, this cut does, rocking a Primal Scream-ish funky groove and horns but with S.O.U.L.-style vintage organ licks, a judiciously-applied vintage soul vocal sample and of course, Lucy Richards’ distinctive falsetto.